this is nice stuff. i hate clowns. The third one down, with the hoop, what is he doing? Creepy indeed, the one with the chain and the candle, OMG! These are wonderful! 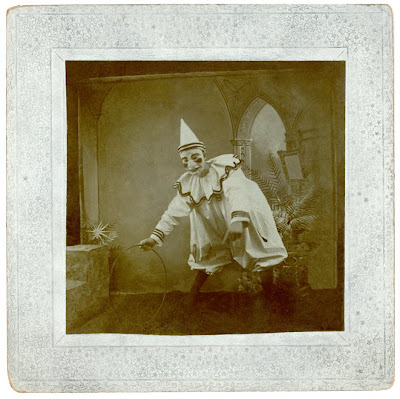 There really is an odd psychology to clowns. As a very little kid I liked them. I liked the noise and the colors. And then I went to the Bozo tv show with my Brownie troop. We were standing in the foyer and as usual I sort of wandered off. I looked down a hallway and there came Bozo smoking a cigarette. I was stunned. He looked unhappy as he put out the cig in an ashtray then continued down the hall to where I was standing. Suddenly he turned into BOZO THE CLOWN right in front of me, but I was now suspicious and have been ever since. There's something creepy about forced happiness under a ton of makeup. A friend of a friend once had his picture taken, as a child, sitting on the lap of the Three Stooges. He looked terrified because he said he was afraid they would start slapping him or poking him in the eye like they did with each other on their show. If I had been Indiana Jones, I would have said, "Clowns! Why did it have to be clowns!!!" I remember taking my son to the Big Apple Circus when he was tiny. 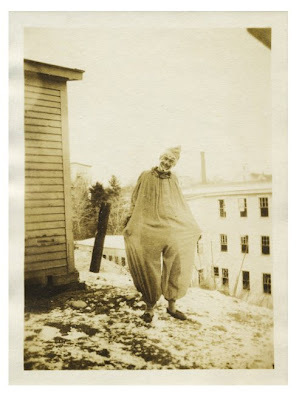 He he was panic stricken when he saw clowns. We had to leave. 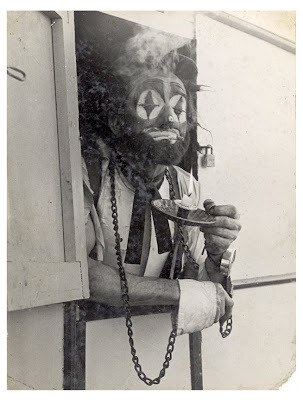 Years ago I met the most delicious man named Chappie Fox, the former directer of The Circus World Museum. He was a champion of all things circus especially the beautiful wagons. 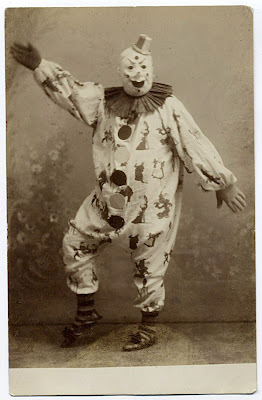 Has anyone pondered the connection between clown tattoos, more specifically evil clown tattoos, and psychological abnormalities . Especially ones desire to adorn their body with numerous clown tattoos? they do not really funny but more creepy .. look at the boy, he fears. 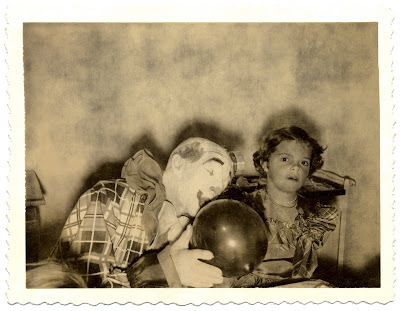 clown was like a psychopath. Just like you or the other children, I was used to as a child is very afraid of clowns, and after great even as a little scared too because today many film about a clown who frequently kill in the film. Cara Mencegah Penyakit Ayan Pada Anak dan Dewasa Ketahui beberapa cara mencegah penyakit ayan atau epilepsi yang paling ampuh. I think this information is very interesting and also useful . thank you for sharing the information and I wait for further information .